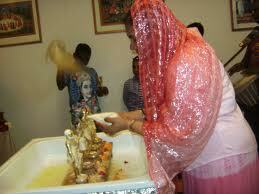 Sankranti Mithuna is Coming on 15 June 2013.Snkranti Mithuna is Known as a Raja Festival. Raja Sankranti is also known as Mithuna Sankranti , Ashad Sankranti and Swing festival and it is one of the major festivals of Orissa. It is supposed that the Earth goddess had started to menstruate on the first day of the Raja and after the third day she is taken to a ritual bath and returned to normalcy. 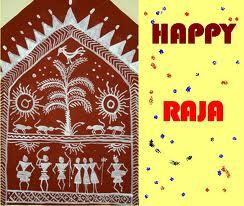 Raja Sankranti Festival is a 3 day festival. 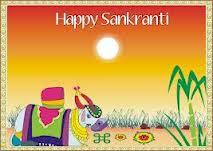 Mithuna Sankranti or Sankramanam is celebrated as Raja Sankranti in the state of Orissa. 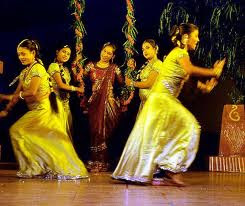 It is a festival marked with much celebration for the farming community in Orissa and some parts of bengal. 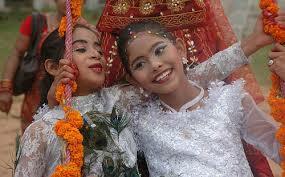 Rest of the country celebrates the festival with small ceremonies marking the arrival of rains . 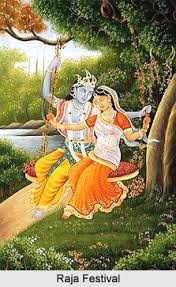 Bhoomi or Vasundhara is revered as the mother earth in hindu scriptures . 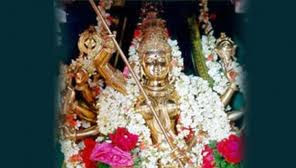 Mother earth is also worshipped as Bhoodevi the consort of Lord Venkateshwara and Sankranti is a tradition of praying to the mother goddess to bless the crops and animals so that the land remains peaceful. It is widely believed that during Raja Sankranti period, mother earth who is the wife of Lord Vishnu undergoes menstruation for three days and on the fourth day called as Vasumati gadhua the ceremonial bath of Bhudevi is performed. The term Raja is derived from Rajaswala meaning a menstruating woman .On the day of Vasumati snan, the ladies bath the grinding stone in the house as a symbol of Bhudevi and worship it with flowers and sindoor. All the household utensils are cleaned and women generally take a break from their everyday schedule. 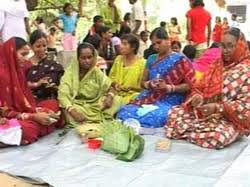 This festival celebrates womanhood and woman are given utmost importance during Raja Sankranti. 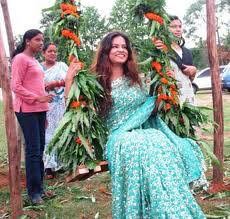 The most important celebration during Raja Sankranti is that Girls play on swings tied to tree branches whereas the elderly ones play indoor games. The four days of Raja Sankranti are called Pahili Raja, Mithuna Sankranti, Basi Raja and Vasumati snan.